Going to my third season living in Canada and i think it’s enough time to show how much I love that country and how much that country it’s important in my life… Those 2 years living here I fell in love with that amazing and humble people here , I didn’t born here but I consider Canada my house and I’m so glad to part of that country.. I just want to say thanks Canada , Toronto and raptors to make my life amazing each day and thanks God to bless me giving me the opportunity to enjoy that amazing country each day.. Brasil and Canada one connection. Bebe is a Toronto fan favourite, and it’s great to see the love goes both ways for the Brazilian big man. 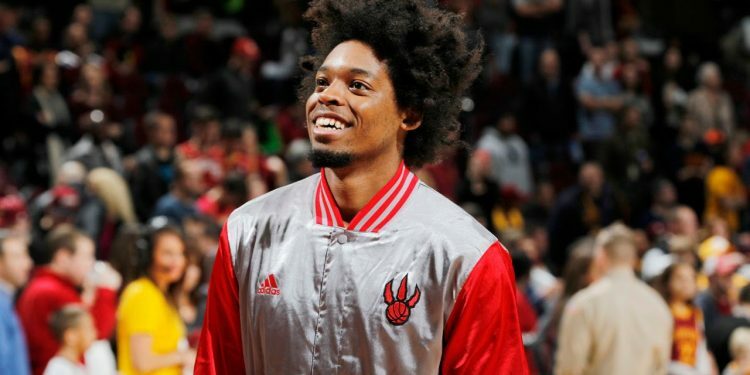 Fans can always expect to see high energy and grit from Nogueira when he steps on the court, and now we know how much representing both Canada and Brazil means to him. Nova Scotia High School Regionals: Downey explodes for 50! OFSAA Prediction: Which Team is Most Likely to Take Down St Mike’s?